The ZOYA D. MILLER PERINATAL CONFERENCE is held annually and draws more than 50 nurse professionals statewide. Providing continuing nursing education credits, our conference is directed by top medical experts in the industry and provides relevant trending topics related to prematurity in our Neonatal Intensive Care Units (NICUs). Our educational booklet, CARRYING TO TERM, provides information about safe pregnancy and how to identify risk and preterm labor symptoms. It is provided to medical offices statewide in English and Spanish, and as an online resource. 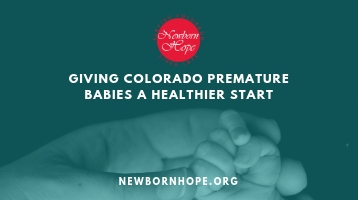 Newborn Hope’s BETTER BED REST PROGRAM supports families, mothers and siblings with resources, support, and encouraging materials while enduring a challenging time on bed rest during pregnancy.